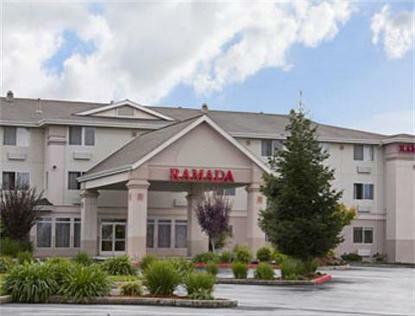 Ramada Limited Redding is a 63 room hotel conveniently located on Interstate 5, exit 681A, on the north side of town. When you travel to or through Redding your best available rate for lodging is the Ramada Limited.Area attractions include the Sundial Bridge, Turtle Bay Museums, Mt. Shasta Mall, Waterworks Park, Win River Casino and Gold Hill Golf Course. Just a short drive away is Shasta Lake, Whiskey Town Lake, Shasta State Historic Park, Mount Shasta, Shasta Caverns, Shasta Dam, Mt. Shasta Ski Park, Burney Falls, Mt. Lassen Volcanic National Park, and the Anderson Outlets Shopping Mall.Ramada Redding offers 100% Non-Smoking Rooms, Indoor Pool and Spa, Wireless High Speed Internet Service, Complimentary Continental Breakfast, and a Convenient Business Center. Each hotel room is equipped with Coffee Maker, Iron and Ironing Board, Hair dryers, Cable TV with HBO, and Pay-per-view Movies.